It's not just a blog script anymore! Did you know that one in every five website uses WordPress as a platform today? It’s not just a blog site anymore. 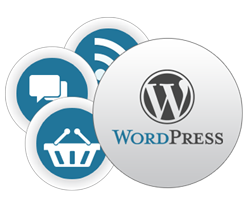 With fine tailoring, WordPress becomes a fully adaptive and a completely functioning website that will suit all your needs. Regardless of the type of website, whether it’s an eCommerce store, a news portal, polling site, a quiz site or a fashion blog site, it an be accomplished. With our custom WordPress theme and plugin development, everything can be achieved. We’re offering all the WordPress services under one hood.